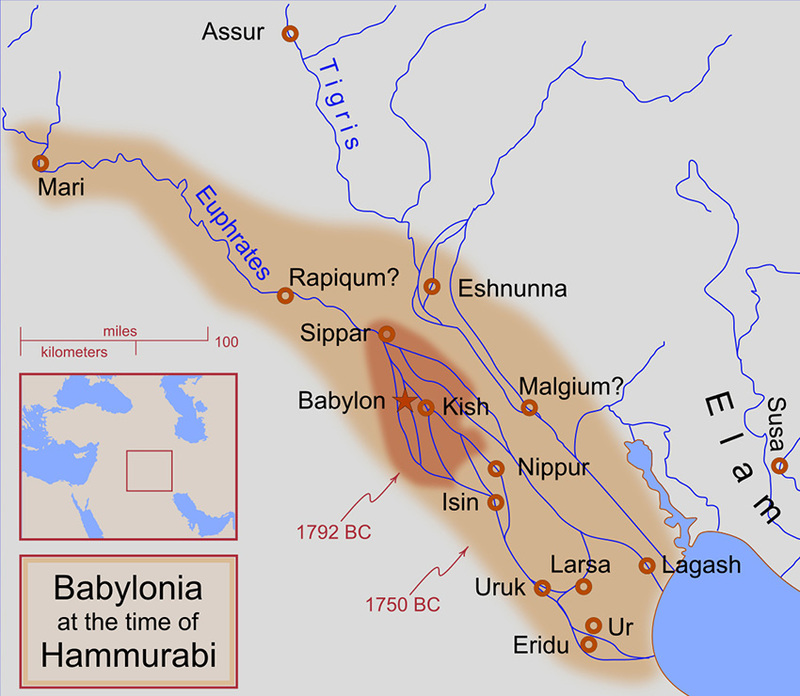 Babylonia, and later Babylonian empire, was the former kingdom in Mesopotamia between 1900 BC or 1800 BC all the way to the fall in 539 BC. It was located on the lower part of the rivers Tigris and Euphrates, roughly between today’s Iraqi city of Baghdad and the Persian Gulf. The cultural center of the region was the city of Babylon, and during its existence the city was conquered and ruled by the rulers of various tribes. The founder of the First Babylonian dynasty is Semite Samu-abum. The highlight of Old Babylonian period was without a doubt reign of King Hammurabi who managed to rise above his rivals, Rim-Sin of Lars, kings Mary and Shamshi-Adad I. He was the most important ruler of Babylon and the Ancient East. He is sixth ruler according to list of kings in the first Babylonian country. 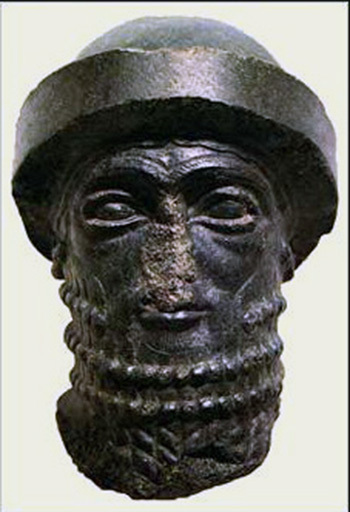 Hammurabi has politically united Mesopotamia; he arranged a public administration in the country. After the death of Shamsi-Adad of Asur, he occupied some cities on the Euphrates and Tigris, and by doing that he strengthened its position. From 1776 to 1768 BC, he was preparing the attack on to Assyria, Elam, Eshnunna and Malgium, due to which these countries create coalition against Babylon. In 1763 BC, he conquered Larsa, in 1762 BC he conquered an alliance of Gutians, in 1761 BC he conquered Mari, in 1756 BC he destroyed the city Eshnunna. However, Hammurabi reign should not be viewed only through military conquest. In his legal codes, he speaks about efforts in order to make structurally effective state administration. In the records found in Larsa, there are letters in which the ruler corresponds to the queries of its followers and deals with claims regarding land rights and similar issues. It seems that Hammurabi was very accessible to every follower, which had some appeal. From the historical sources, it can be seen that he was successful diplomat and military leader and as well as a successful manager. Good geographical position of Babylon has contributed to the development of trade. Financial operations were mostly in the hands of priests. For payments, people were using silver, rarely gold in the form of bars, rings, gold plates. Trade was no longer only in the hands of the state. However, merchants also started to trade. The trade was internal (they imported slaves, cattle, spices, stones, wood and metal) and external (exported wool, oil, grain, craft products). The gold was purchased in Nubia, silver in Elam, copper in Cyprus and southern Arabia, the timber according to the type in Armenia and in the Amanus Mountains. Babylon is a transit country for trade from India towards entire Mediterranean area. Commercial jobs performed in front of witnesses with the King’s recognition.